As an organisation, we at the St Philip’s Centre believe that, although the world is full of division and misunderstanding, we can learn to live well together. 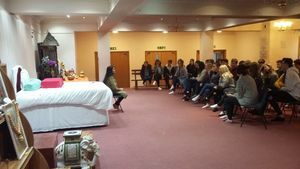 Our aim is to nurture respectful dialogue and mutual learning between people of all faiths and no faith, establishing and strengthening relationships of trust and cooperation between diverse faith communities. The Westhill endowment is funding a project entitled Developing Deeper Discussion in Christian Engagement with other faith communities. Our experience as a Centre suggests that there are a number of barriers to interfaith engagement, including concern over causing unnecessary offense or embarrassment, a perception of personal ignorance of Christianity meaning interfaith engagement is not possible and a lack of confidence in how to begin building or deepening relationships with people from other faith communities. There are particular hurdles of language and communication that also must be overcome. To give one example, the understanding of the role and characteristics of a Prophet within Christianity and Islam are markedly different (recognising also that there are a range of understandings within these two faith communities as well). Thus, when Christians and Muslims meet to talk about “shared prophets” they may find themselves actually talking at cross purposes. The project is divided into two parts: resource production and deepening engagement. First, resource production. We have recently produced a short guide as a primer for dialogue and discussion between Christians and Hindus. This lists some key facts for Hinduism and Christianity, and gives practical advice and guidance around core beliefs, visits to places of worship and what food to serve at shared meetings. We have also produced “text bundles,” that is selections of texts from the Sacred Texts of each faith which speak to areas of both similarity and difference. We intend to produce a similar resource for Christians who want to engage with the Muslim, Jewish, Sikh and Buddhist communities. 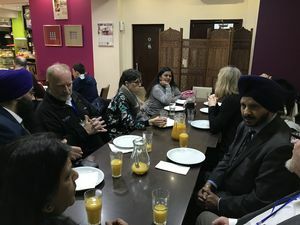 Second, having produced the resources, we would then use them to enable groups of Christians who have expressed a particular interest in deepening their relationship with other faith communities to do just that. This would be targeted at those groups with whom we already have a relationship as well as offered more widely to those who are still at the early stages of engagement. We plan to establish and facilitate ten meetings between Christians and those of other faiths during this phase of the project. We are currently working on some new films which will be posted here shortly, but if you prefer not to wait please click here to view our YouTube Channel.